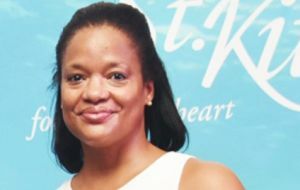 “We are open and welcoming visitors,” said Racquel Brown, CEO of the St. Kitts Tourism Authority. More than 40 islands visited by cruise ships on Caribbean itineraries have a message they want to share: They are open, fully operational, welcoming ships full of cruise passengers and hoping more will follow. Included are places that saw some damage from the September hurricanes but have already recovered. She said cruise passengers are back to doing such activities as playing golf, going scuba diving, relaxing on the beach, visiting historic Brimstone Hill, riding on the Scenic Railway and getting adventuresome on zipline and all-terrain vehicle (ATV) excursions. While thoughts, prayers and aid are being sent to six islands in particular, including Puerto Rico, the fact is that at most ports of call, people are currently enjoying exceptional and memorable cruise experiences – while at the same time helping to keep the tourism economy alive. “We’ve found that many travelers don’t realize how vast a region is the Caribbean – its islands are spread out over one million square miles,” said Carolyn Spencer Brown, chief content strategist for the popular cruise website Cruise Critic. The majority of the estimated 48 Caribbean cruise ports were not impacted at all by the storms. Cruisers still have plenty of wonderful vacation options in the region, Spencer Brown said. Carnival Corporation has joined with its destination partners to assist residents and communities impacted by Hurricane Irma and Hurricane Maria – providing financial support for a wide variety of relief organizations helping the Caribbean in its recovery. The company, together with the Miami HEAT Charitable Fund, and the Micky and Madeleine Arison Family Foundation, pledged up to US$10 million in funding and in-kind support for relief and rebuilding efforts in Florida and throughout the Caribbean. The Micky and Madeleine Arison Family Foundation also donated US$2.5 million to Direct Relief, UNICEF and the United Way of Miami-Dade County to support the most timely and urgent relief needs in the wake of Hurricane Irma. In addition, Carnival Cruise Line deployed ships in the region to deliver emergency supplies to affected ports in Florida and throughout the Caribbean. The ships delivered crucial supplies and the most immediate necessities, including food, water, clothing, diapers, medical supplies and generators, among others.